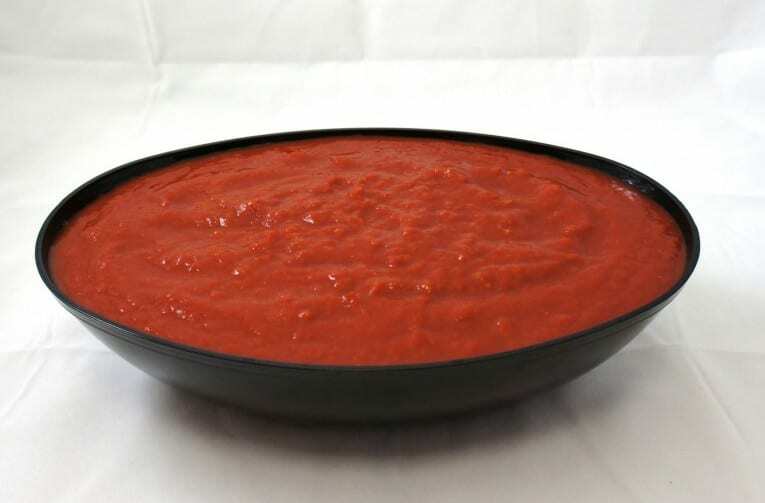 Ground unpeeled tomatoes in puree are prepared with pear tomatoes that have been washed and hand sorted for quality. Salt is added as well as rich puree as a packing medium. Made from fresh California, vine ripened pear tomatoes. Made from fresh California, vine ripened pear tomatoes. Homemade mouth feel, Chunky appearance. Garden fresh tomato flavor.